While I was writing this post, I listened to Do I Wanna Know by the Arctic Monkeys. Try it ! 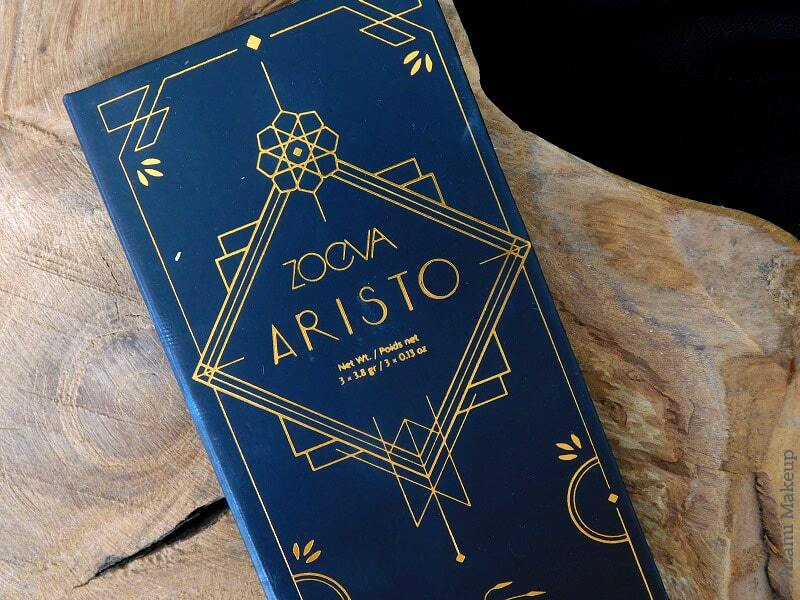 This Aristo Blush Palette that Zoeva released a little more than a year ago quickly found its way in my cart and a steady place in my makeup collection. I remember buying the eyeshadow palette too, but it didn't quite have the impact that this one had on my heart. Read on to know why ! So far Zoeva has released a fair few face palettes, it seems like they release one for every collection and I must have two or three others but I use and love none as dearly as this one. It is said that this palette "worships the Greek Goddess of the bountiful harvest with a divine range of sacred colors. 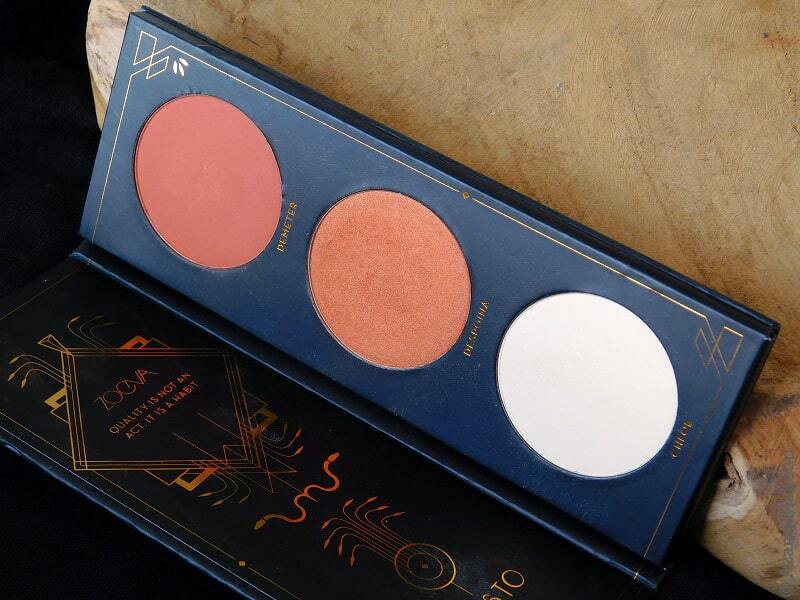 Symbolic of her capacity to love and nurture, the palette bestows a comforting selection of two velvety, orange-toned blushes and a matte highlighter". This baby costs less than €15, is made in Italy and holds three 3.8g (!) pans that you can use any way that you want, as powders, as blushes, as eyeshadows, as highlighters... This one here has two orange-toned blushes, one burnt reddish orange and one slightly duochrome golden/orange - aaaaand I'm back in my orange blush phase ! - and a light beige matte highlighter. 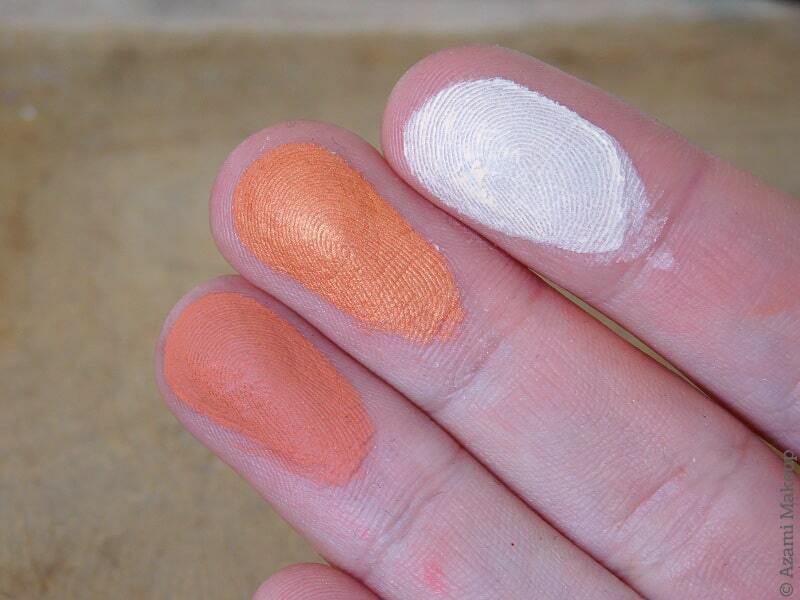 They are all very fine powders, easy to use for the beginner and very easy to blend. Although I've not used the matte highlighter often, I love that the color suits most fair-skinned girls ; I can personnally use it as a concealer setting powder, being a M.A.C. NC20. 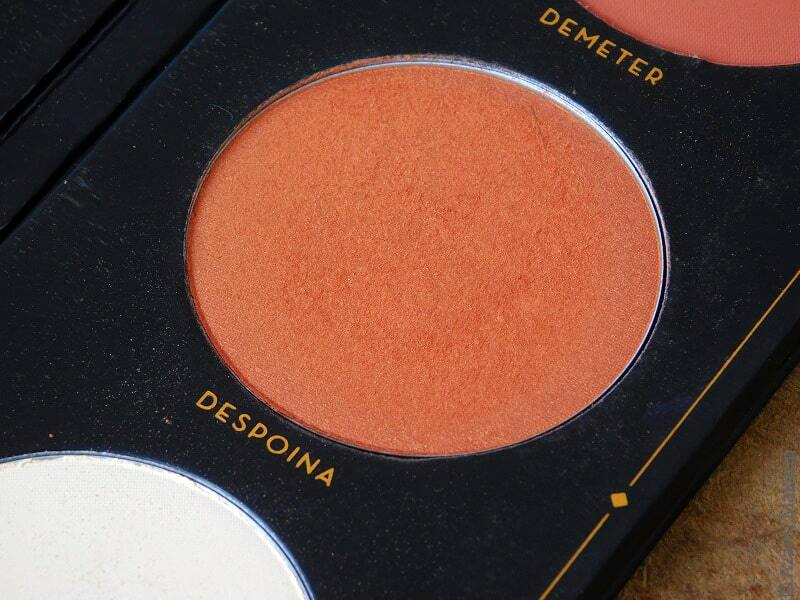 My favorite shades in the palette is that shimmery orange, Despoina blush in the middle - I was afraid of it when I first bought it and then I understood how beautiful it could be as a highlight or a blusher depending on my model's skintone since there's a slight golden sheen to the color. 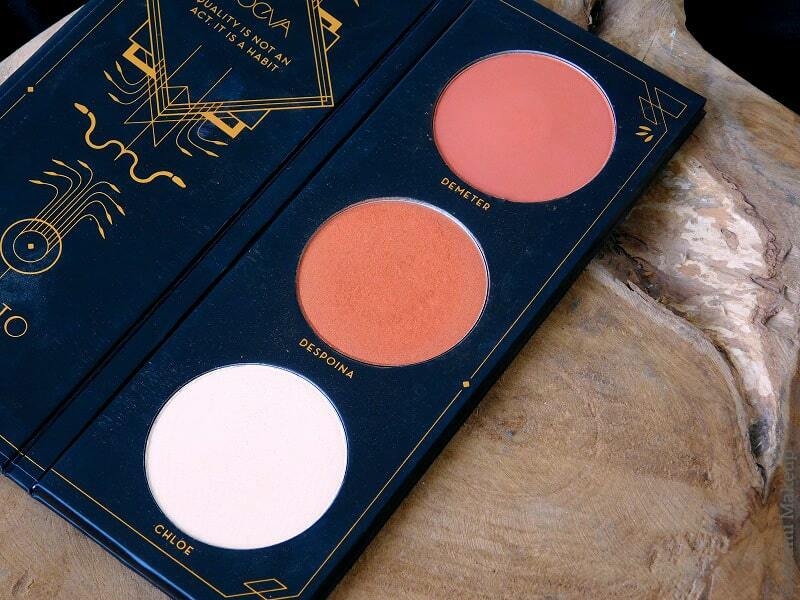 I wear it as a blush and it just looks stunning and I swear that just having this palette home has made me check out Zoeva's other Face palettes often online and at Sephora, the Offline and Premiere ones that I don't already own unfortunately I have found that none comes close to this in terms of quality and color (I may still get them, haha!). 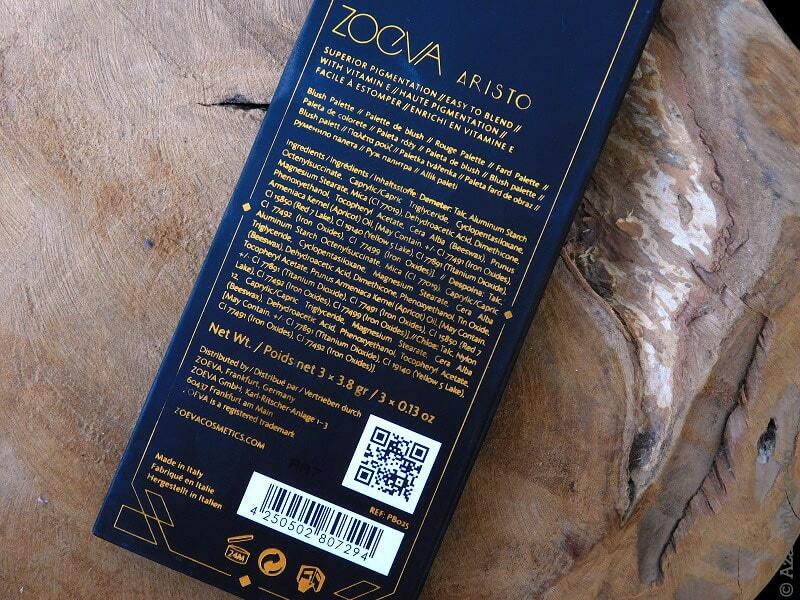 Next time you're at Sephora or shopping on Zoeva, try this baby out ! If you love orange blushes, boy, you'll be in love - by the way, I may do a whole post about orange blushes soon if you'd like that !